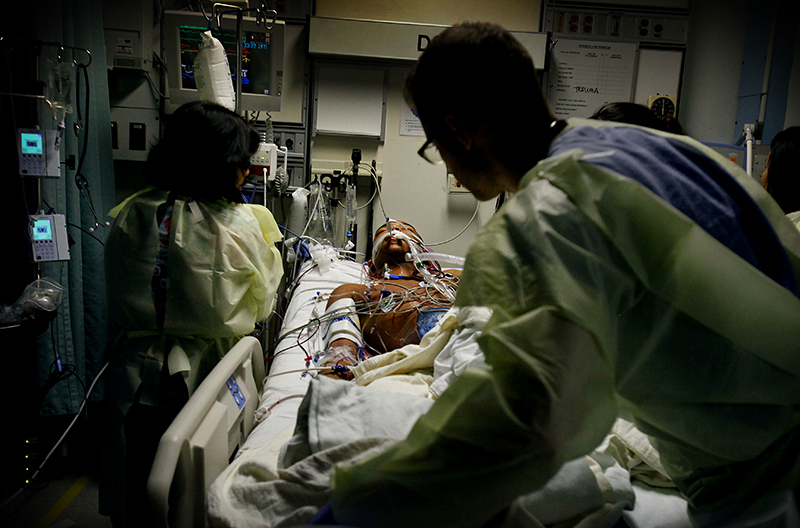 Patient "Zinc" is treated in the ICU. At the end of each surgery comes the family consultation. Putnam remembers all the bad news he's ever delivered. He won't have to remember this one. At 5:25 a.m., three hours after arrival, he pronounces the boy in critical condition, expected to live. A little before 6, Putnam goes looking for the family. He still doesn't have any information about the boy.